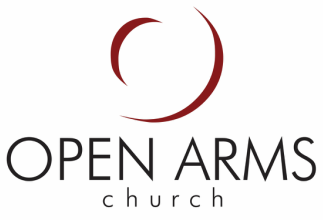 New to Open Arms Church? The first step to serving in any ministry is to attend the 101 "Discovering Open Arms" class, offered quarterly. All ministry flows out of the unique vision and passion that God has given us as a church. Click here to request more information about these (and other) mission-driven opportunities. Addresses the practical needs of grieving families during a wake/funeral in a sensitive, helpful way. Responsibilities include compassionate hospitality, greeting, and may include food preparation and/or serving. 10-12 people serve as needed. Stewards the facilities that God has provided for us, seeking to maintain a standard of excellence. Opportunities include plumbing, electrical, carpentry, painting, small engine repair, general labor, etc. 10-12 men serve as needed. Creates a positive first impression that we care about what God has provided for us, being good stewards with a focus to present a clean and refreshed campus. Responsibilities include cleaning bathrooms, sweeping and mopping floors, emptying trash, vacuuming carpets, cleaning windows, and more. 8-10 people clean the facility weekly on Thursday mornings. Ensures that a warm cup of coffee or tea greets our church family and friends each Sunday morning. Team members arrive early to prepare coffee/condiments and set up for after-service coffee/tea. 8 women/couples are divided into teams that serve on a monthly basis, twice/year. Works with promoters to bring in inspiring Christian musicians. Team members help to set up, tear down, & serve as needed during concerts. 20-30 people serve 1-2 times/year. Vitalizes outdoor flowerbeds & shrubs by gardening, planting, and maintaining flowers & plants. 4-5 women serve seasonally. Creates an important first impression with a friendly smile, handshake, and a warm "hello" on Sunday mornings. Greeting Team members arrive early to stand near the doors and pass out programs. 40 people are divided into teams that serve on a monthly basis, twice/year. Works to demonstrate that we care about the land that God has provided for us, being good stewards and presenting all things with excellence. Opportunities include spring clean-up, raking, mulching, lawn mowing, and light snow shoveling. 12 people serve seasonally, mowing once/week, and other tasks as needed. Provides an engaging learning environment for children to learn at their age level while their parents/guardians take part in the worship service: one room for 4 yr olds - K, and another for grades 1-4. Opportunities include leading out in crafts, games, music, and teaching. 24 people, including lead teachers, associate teachers, and junior helpers (youth), are divided into teams that serve once/month. Creates visibility in the community that points to our website and allow guests to anonymously check us out before visiting. This team strategically places lawn signs in the Rotterdam, Schenectady, Colonie, Guilderland, and surrounding areas. 1-2 people serve 5-6 times/year. Shows care and concern in a practical way to those whose lives have been temporarily interrupted by other events (e.g., illness, birth, death of a loved one). 15-20 people provide meals and/or food baskets as needed. Enables those in the worship service to follow along in singing and to engage in the message. Opportunities on Sunday mornings include working the slides or the sound board. 2-3 people serve weekly. Provides qualified help in the event of any medical emergencies. Team members, who often have a medical/nursing or EMT background, are prepared to immediately assess the situation, offer assistance, and determine if outside intervention is needed. 4-6 people serve as needed. Designs events to help men connect with each other and with Jesus. Opportunities include logistics planning and follow-through. 2-3 men serve up to twice annually. Cares for the needs of infants and toddlers in a responsible and loving environment while their parents/guardians take part in the worship service. 28 women / junior helpers (older teens), are divided into teams that serve once/month. ​Assists in the completion of special projects. Responsibilities may include the copying of files, folding, booklet assembly, and a variety of other administrative tasks. 5-6 people serve as needed. Intercedes on behalf of those who submit prayer requests. 35-40 people are committed to pray regularly; some team members also visit and pray with senior shut-ins or those in hospitals, may send cards, or offer follow-up as appropriate. Provides a practical way to explain the order of service and highlight calendar events for both guests and the church family. This team is responsible to fold printed programs between Friday afternoon and Saturday night. 10-14 people are divided into teams that serve on a monthly basis, twice/year. Offers a way to rejoice with those who rejoice. Opportunities include organizing and shopping for baby showers / receptions, as well as other special occasions, usually after a Sunday service. 4-6 women serve as needed. Our recreation ministry exists to help our church family reach out and connect with others as they compete and have fun. Basketball - fall/winter, on Monday nights. Indoor/Outdoor Volleyball - year-round, on Tuesday nights. Unicycle club - fall/winter, on Wednesday nights. Softball - spring, on Monday nights. Children's Play Date - year-round, on Tuesday mornings. 7-8 people serve seasonally on a weekly basis. Assists family and guests on Sunday mornings with seating needs and also assists in distributing the offering baskets. 24 men are divided into teams that serve on a monthly basis, twice/year. Gives members and new guests the opportunity to watch a sermon during the week by recording it on video, then editing it for online access. 2-3 people serve weekly. Designs events to help women connect with each other and with Jesus. Opportunities include planning for logistics, organizing, and follow-through. 6-8 women serve up to twice annually. Chairs in the worship center are removed after most Sunday services to prepare for weekday gym activities and Sunday night youth group, and chairs are set back up on Thursdays at 5:30pm. 40 men are divided into teams that serve once/month (with summers off). Draws attention to God as the congregation sings songs to Him for His pleasure, by leading our time of music during Sunday worship services, summer pavilion sing-a-longs, and retreats. Opportunities include vocals, guitar, bass guitar, drums, keyboards, and audio/visual/sound & light technicians. 12-18 people, including youth, serve 1-2 times/month. Teaches the Bible and Christian principles to students in grades 5-6 in an age-appropriate way while their parents/guardians take part in the worship service. 6-10 people, mostly couples, are divided into teams that serve once/month. Provides a time of gathering for students in grades 7-12 that is focused on Bible teaching and social interaction. Youth 712 meets regularly on Sunday nights from 5:30-8:00. Opportunities include providing snacks, helping with activities, chaperoning & more. 15 people, including recent graduates, serve 1-2 times/month. Participants in the following ministries are appointed at the discretion of ministry leaders. With sensitivity and discernment, deacons come alongside widows & others in times of need and distress, while also overseeing and administering our church's benevolence fund. Our deacons receive and process potential needs, follow up with individuals, and recommend course(s) of action as needed. Leaders provide opportunities for connection and facilitate group discussions that center around the study of Scripture. 15-20 couples and men/women lead on a weekly basis Jan-May (groups meet at various times throughout the week), with some groups taking place during the summer as well. Equip the church family in the truths of Scripture in a deeper, more systematic way, teaching in an interactive way on a variety of topics. Pastors and experienced teachers teach weekly each fall (Sept-Dec). Oversees the church's involvement in both local and international missions. This team helps to serve the body by equipping them for each trip, planning logistics, determining financial assistance, and discussing current/future opportunities. 5-7 people serve as needed. Oversees all pastoral, administrative, and ministerial staff's salaries and benefits. Salary and benefit recommendations are made to the church body at the annual business meeting. This team also oversees all grievances. 4 people serve annually. Responds to any disturbances in the worship service, intervening as necessary to ensure the safety and comfort of those on the campus. Team members may have police, armed forces, and/or counseling backgrounds. 2-5 people serve as needed. Ensures the integrity and confidentiality of the giving process. Teams of no less than 2 people count and log each Sunday morning's offering, record amounts, and lock in secure area for recount and deposit. 12-14 people are divided into teams that serve on a monthly basis, twice/year.